Here are my top finds for jewellery off London’s high street which you will be able to accessorise with your Asian attire at a bargain price, without losing out on quality. These earrings tear drop earrings (River Island) would pair up perfectly with any outfit with gold embroidery or bead/stone work for only £10! 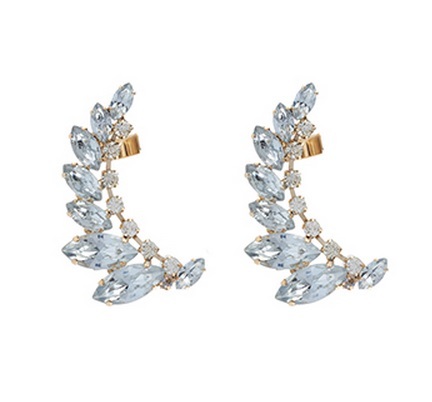 These are quite large earrings considering the price, therefore very well-worth the purchase. 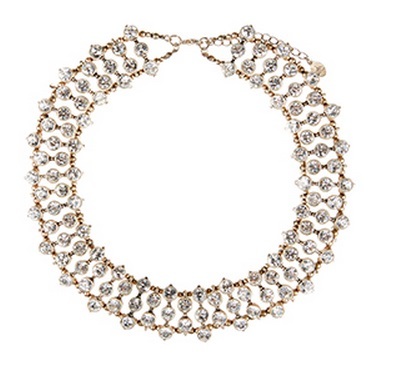 This statement diamond collar necklace (Accessorize) would greatly match together with a sari with clear colored stonework without the heavy price tag. These ear cuffs from Accessorize are my favorite, as they are clear gems which can work with any outfit and are a bargain at £7 and can make your overall look much more dramatic. 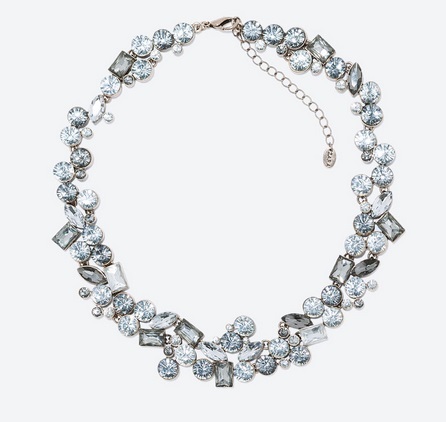 This clear rhinestone necklace from Zara is a bold and elegant statement piece, which can be paired with outfits which have silver work on them. 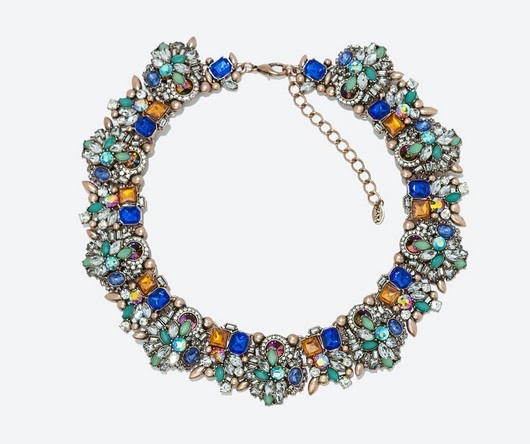 This particular multicolored rhinestone necklace from Zara is perfect for an outfit with a multiple color combination, such as turquoise, royal blue and mustard/orange. The last of our picks is this pearl and stone single ear cuff, which would be suitable for an outfit with silver thread work/embroidery, clear stone or pearl work. Let us know which one is your favorite on Twitter – just mention us @londonkiladki in your tweet. If you end up snapping up any of these bargains – inbox us a selfie wearing the accessory with your #OutfitOfTheDay on Facebook. You may have a chance to feature on our Facebook Page!